GFI is an international IT software vendor specializing in web, email, and network security. We worked with GFI to produce several mailers and newsletters, for their Asia market. 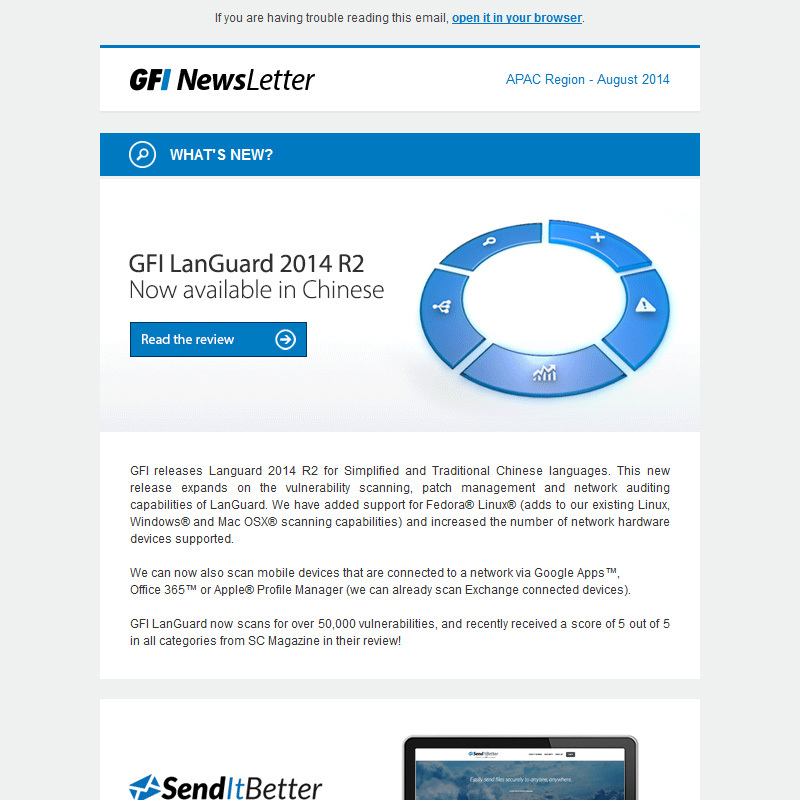 GFI newsletter for August 2014. 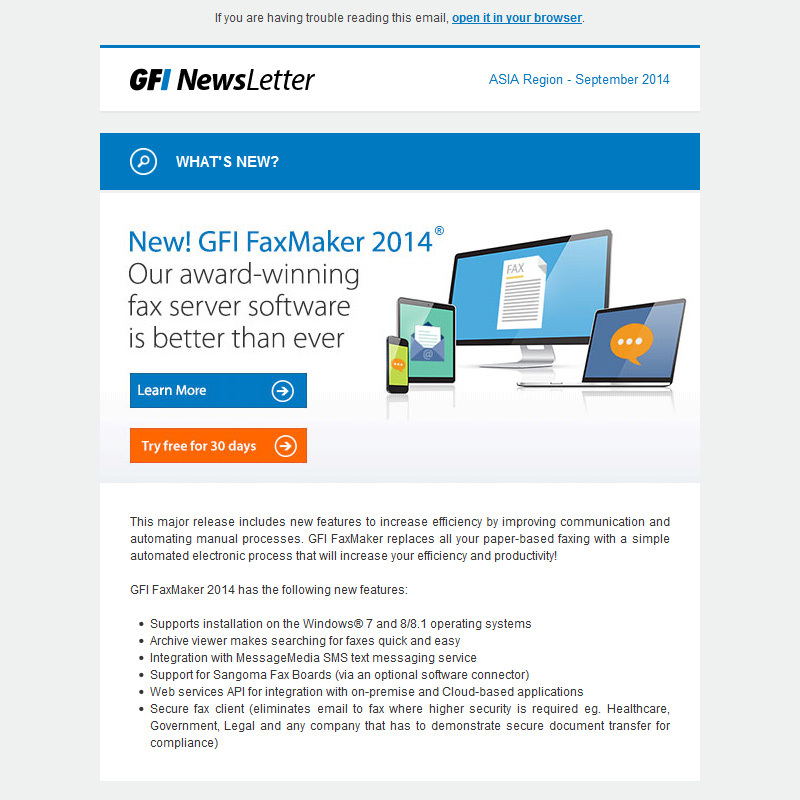 GFI newsletter for September 2014. 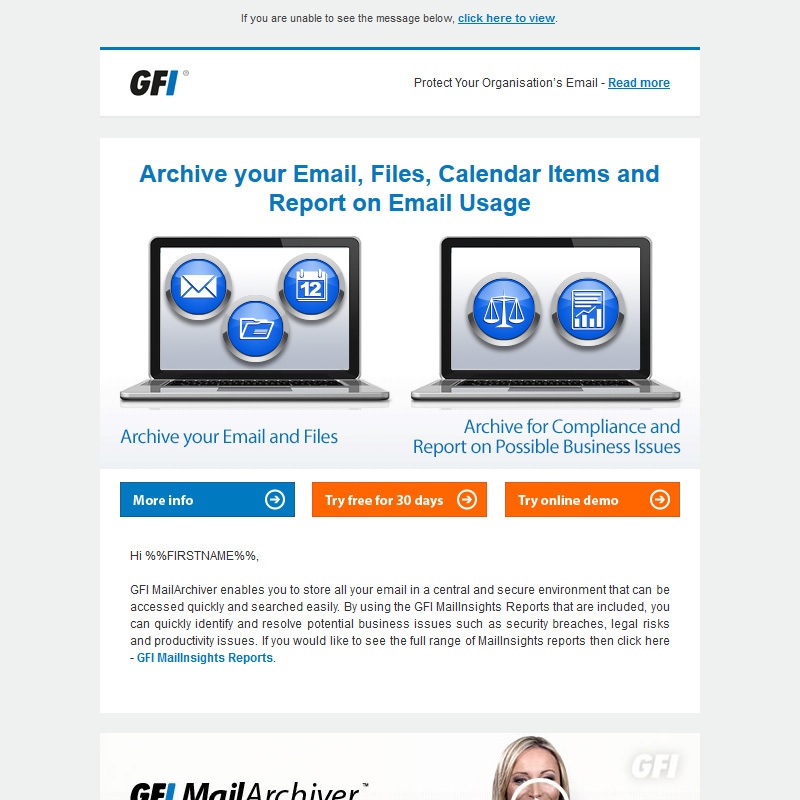 GFI MailArchiver email promotion for October 2014. 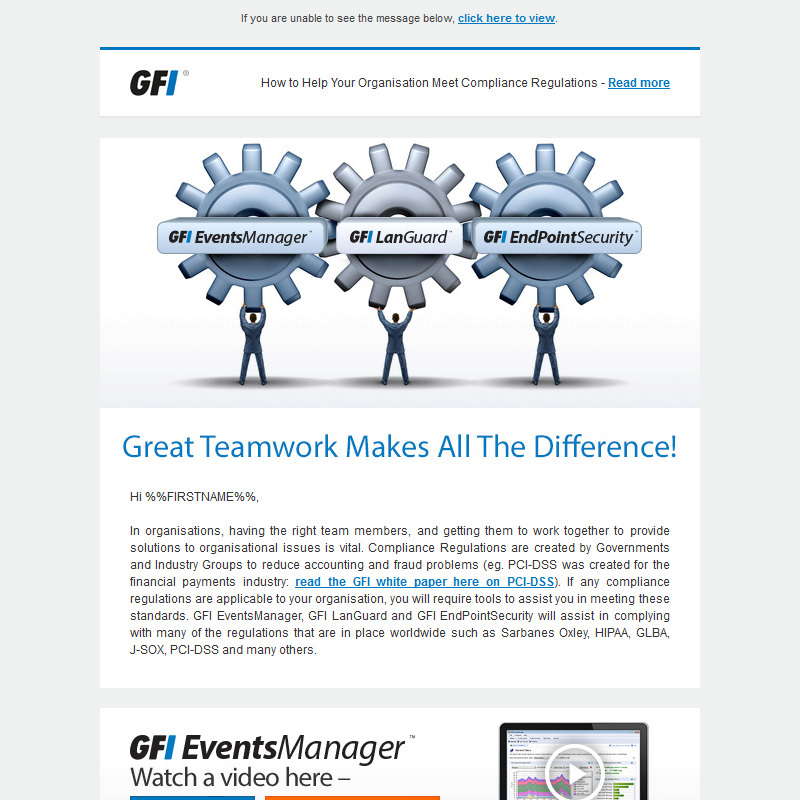 GFI newsletter for October 2014. 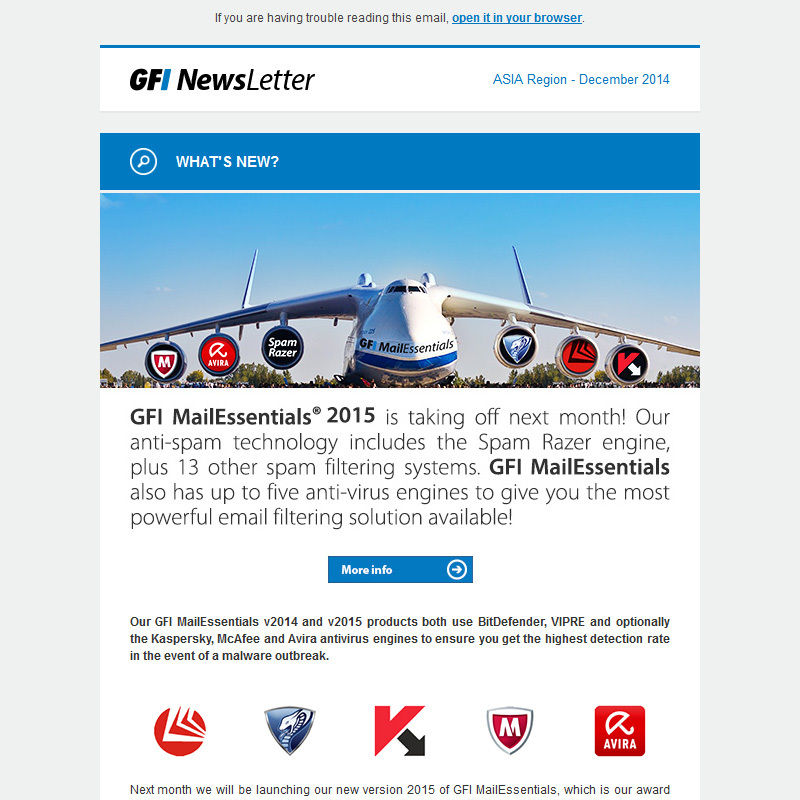 GFI compliance email promotion for November 2014. 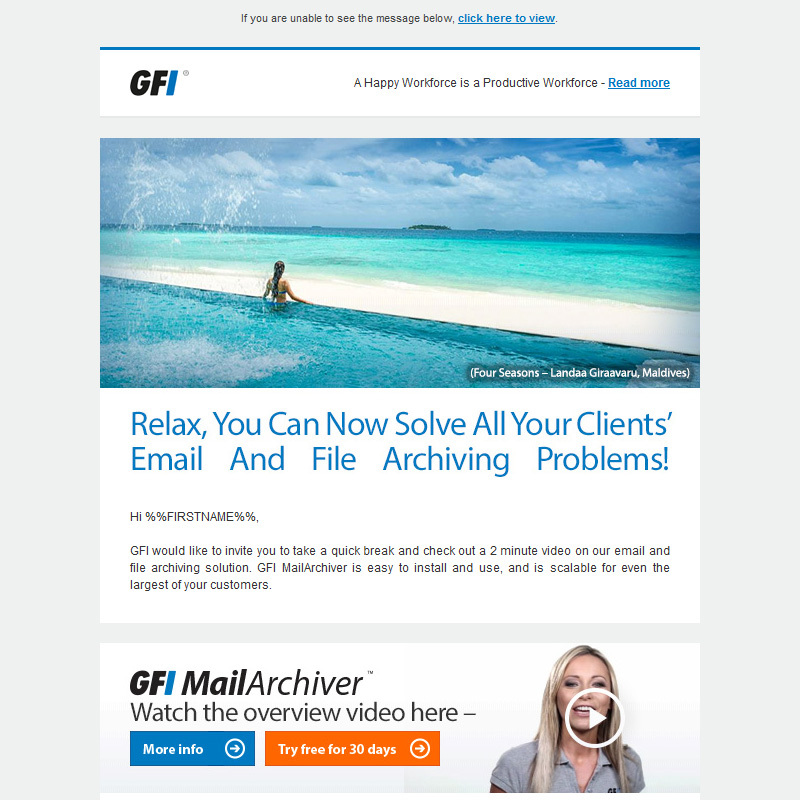 GFI relax email promotion for November 2014. 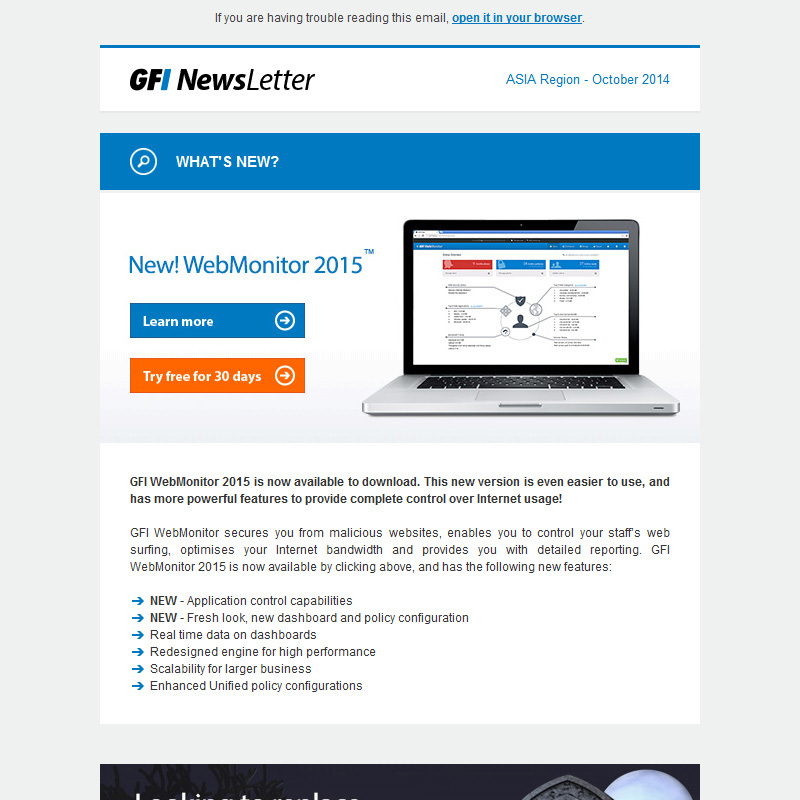 GFI newsletter for November 2014. 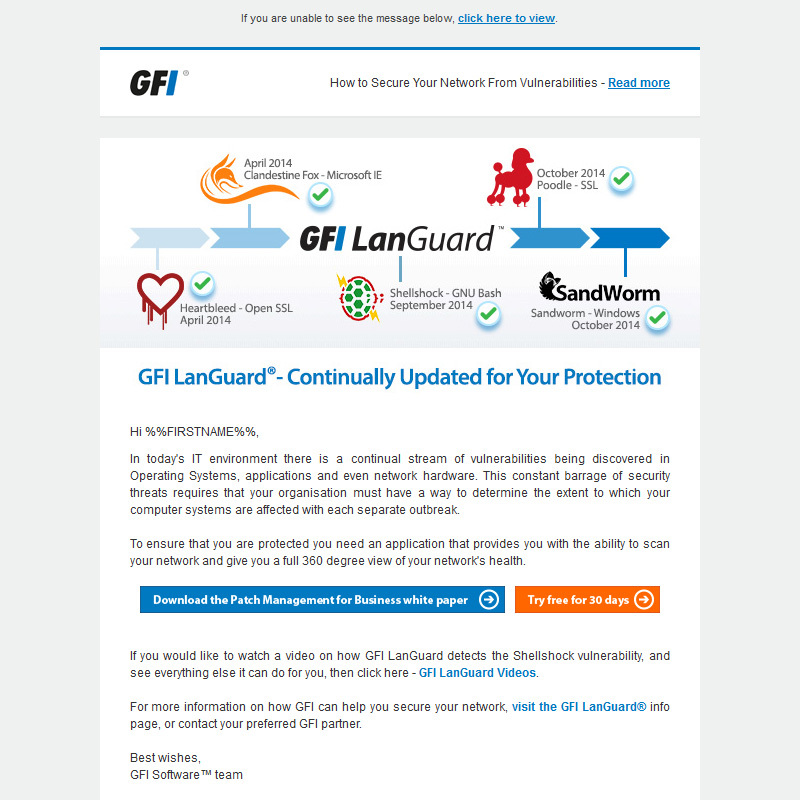 GFI LanGuard vulnerability email promotion for November 2014. 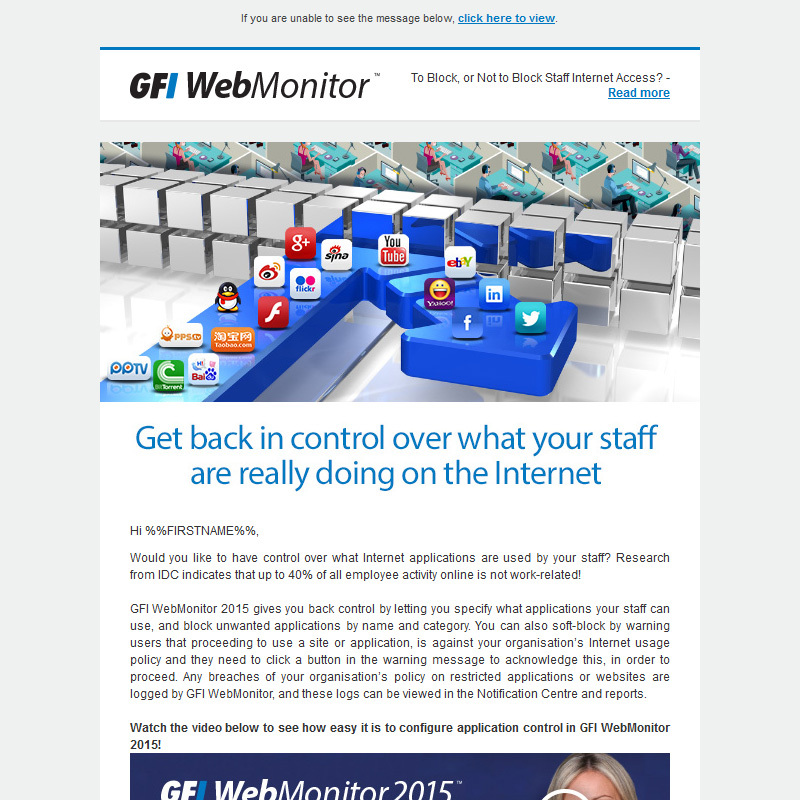 GFI WebMonitor email promotion for December 2014. 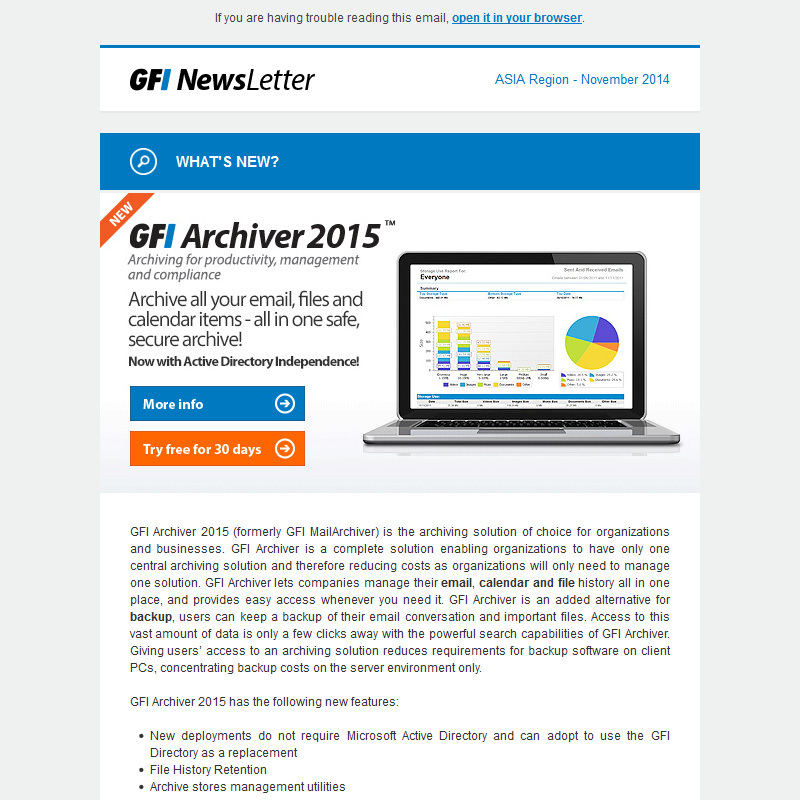 GFI newsletter for December 2014.